In 2018, accessory dwelling units, or ADU’s, were the talk of the town. Bellingham City Council voted last year to allow the construction of ADU’s in all single-family zones city-wide. The multi-year process leading up to this vote involved analysis, dialogue, public input, and many meetings. But what is an ADU, and what does this allowance mean for our community? An ADU is a small secondary housing unit on a single family residential lot. In other words, ADU’s are self-contained, compact residences that provide all of the basic necessities of day-to-day living, just like you would find in a home. They commonly have their own kitchen, bedroom, bathroom, entrance, and sometimes their own laundry and storage. There are two main types of ADU’s – detached and attached – and they go by different names depending on how and where they’re being built. 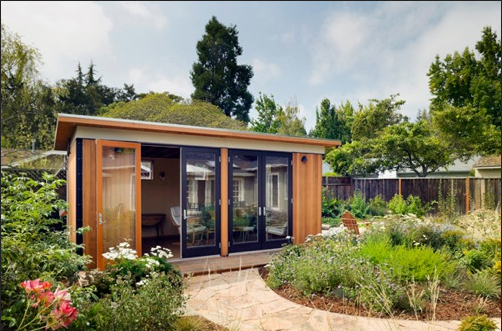 Detached accessory dwelling units, or DADU’s, are separate from a main residence, and sometimes called backyard cottages, mother-in-law suites, or granny flats. DADU’s can be built on a new foundation, within a converted garage or shed, or in a lofted space above a garage or workshop. Attached units are separate living spaces, but still physically connected to the main home, and can be built in a new addition, or a converted basement or attic. In Bellingham, DADU’s fall under the ADU umbrella. What are the basics requirements for building an ADU in Bellingham? For more restrictions and requirements, review this City of Bellingham document. How can ADU’s benefit our community? In recent years, Bellingham has seen its vacancy rate drop to as low as 0% and community members are in desperate need of affordable, safe housing. We believe that infill growth through ADU construction to be a responsible way to address our housing needs without increasing urban sprawl. Our community is known for our stewardship of a wonderful allotment of green spaces, and infill growth helps to preserve these spaces for future generations. Not only that, ADU’s help reduce long commutes, reduce the number of raw materials required to build new homes, and are a potential source of supplemental income for homeowners. We believe that the many rules and requirements set by the Bellingham City Council will help to ensure that the fabric of our communities continues to be vibrant, friendly, and walkable. We also believe ADU’s are a wonderful opportunity to utilize Bellingham’s large selection of salvaged, reclaimed, and thrift materials. Reclaimed materials like siding, trim, doors, cabinets, and flooring are perfect construction materials for keeping these new units compliant with the City’s requirement that they be a similar style to the main residence. Often times these salvaged materials are of equal or better quality to raw materials purchased new, and these items are perfectly placed to create safe, livable homes, that represent the look and feel of the homes that are already here. If you’re curious about ADU’s or are looking to construct your own, we recommend you visit the City of Bellingham’s ADU page on their website. Our salvage crew is happy to work with or your builder to salvage materials from an existing structure to help maintain the look and feel of your existing home. Our staff can work with you to identify the best materials for your project, and may know of upcoming inventory not yet available to the general public. We look forward to being a resource as we work together to increase safe livable spaces in Bellingham.